The subtleties are all in the name. This is the iPhone SE. It might look like an iPhone 5S, but it would be a mistake to judge this phone by its cover. The SE stands for Special Edition. And what's so special? Price: This is cheapest iPhone at launch, ever. Specs: While it might look like a 5S, it is a significantly superior product to that 2-year old device. Why would anybody buy the iPhone SE ? Priced from AUD$679, the cost of the new iPhone has disappointed many who were hoping for a device coming in under the AUD$500 mark. Some have suggested the SE stands for Still Expensive. That may be the case but there is no escaping the iPhone SE is still the cheapest iPhone at launch and currently available from Apple Australia. The iPhone SE is a full 30% cheaper than the lowest priced iPhone available today from the Apple Australia website. In a short time the iPhone 6 is likely to drop in price but right now it costs a minimum $929 on outright purchase, and the iPhone 6S starts at $1,079. Suddenly from $679, the iPhone SE is looking like a bargain. For enterprise business customers it will also mean a new option at the lower end of the MRO offerings. Telstra Business has the iPhone 5S from $65 per month on a Go Business Mobile plan, with the next least expensive option the iPhone 6/6S jumping to a minimum $86 per month. 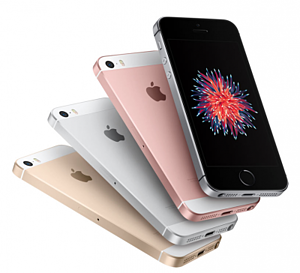 Telstra has already intimated the iPhone 5S is close to end of life, and while the new iPhone SE has not yet been included in the Telstra plan family, it is likely it will replace the 5S so business users will enjoy a superior device at the lowest end of the MRO range. Contrary to popular opinion, it seems that many people think that size does NOT matter. In fact significant numbers seem to have a preference for the smaller 4-inch device that can still fit in their pocket or purse. Over 35% of iPhone owners are still using a 4-inch device. According to data from analytics company, MixPanel , around 36% of active devices are still made up of 4-inchers including the iPhone 5S at 18%, followed by the iPhone 5 at 8% and 5C at 5%. 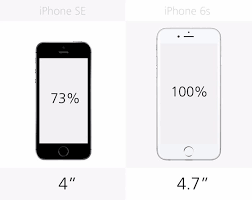 9To5Mac surveyed its own audience of 15,000 readers and found 35% planned to upgrade to the new 5SE with 24% of those already holding a 4-inch device and another 11% downsizing from a larger iPhone. Rose Gold, Space Grey, Gold and Silver. The 5SE has all the trademark style and design of the latest Apple products. This will look like a new iPhone. "It's got advancements that will make it the most powerful 4-inch phone ever"
The new SE has the same A9 processor as the iPhone 6S. 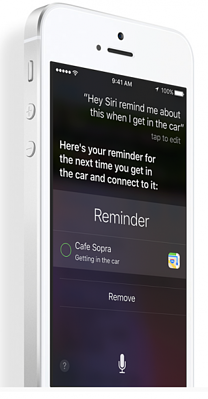 The A9 chip will allow it to turn on when a user says "Hey Siri" and will enable Apple Pay. The SE has a 12-megapixel camera which is superior the 6 which has 8-megapixels and is on par with the 6S. It will be able to take Live Photos - an Apple feature that adds 3 seconds of subtle movement to a still picture. It will perform better in low light conditions than the 6 and takes higher resolution panoramic photos. password-protected Notes. Great for keeping security codes or medical information safe and private. Night shift mode. Ever wonder why its more difficult to fall asleep after checking your iPhone screen in bed. Almost all screens give off blue light, and while its perfectly healthy to absorb as much as you like during the day, its not something you want to take in at night. That's because blue light tricks our circadian rhythm or natural body clock into thinking that it's daytime. NIght shift mode gives the screen an orangey glow which makes it more comfortable to look at in low lights. increases transparency of WiFi Assist. This is the feature that automatically shifts the iPhone to 3 or 4G if it detects the WiFi signal is weak and has caused some unexpected bill shock for users. WiFi Assist has now been added to settings to show how much data has been consumed with the WiFi Assist feature has been active. hides unwanted Apps. iOS ships with a few dozen default apps which you may not ever use and which take up valuable space on the homescreen. Until now the best you could do was put them away into a folder.